Jobs First for WA is a campaign established as a response to the WA Labor Government’s proposed increase to gold royalties. This issue was resolved in October 2017, when the WA Liberals announced they would join other parties, including the Nationals and cross-benchers, to block the proposed gold royalty increase in the Upper House. A disallowance motion was introduced by the Nationals and passed in a vote by the Upper House on 12 October 2017. The proposed 50 per cent increase in the gold royalty rate would have resulted in thousands of jobs being lost and exploration for new gold deposits being dramatically reduced. 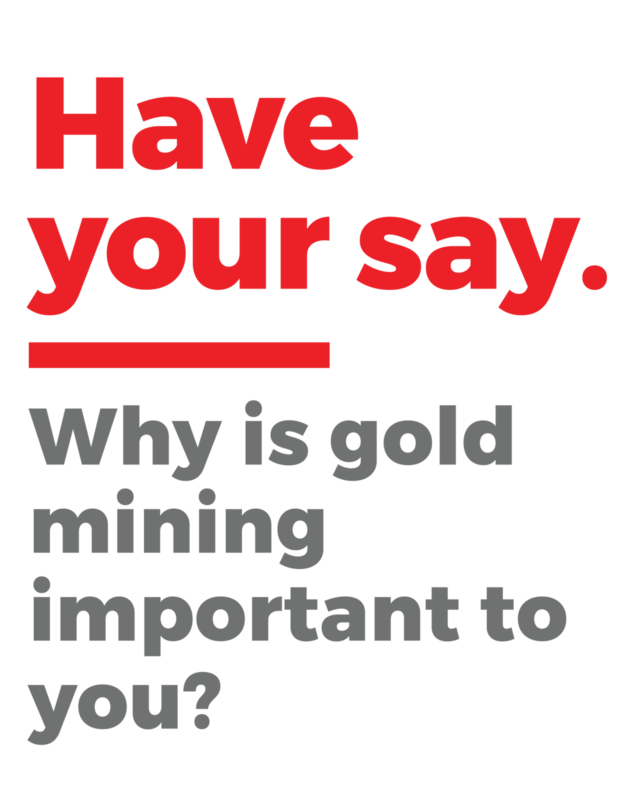 Stay in touch with the campaign and tell us why gold mining matters to you. Thank you for helping support the WA Gold community! The WA Labor Government proposed gold miners pay an additional $392 million in gold royalties in the coming years. They planned to increase the current 2.5% royalty rate by 50% when the price of gold is more than A$1,200/oz. On 10 October 2017, the WA Liberals announced they would join other parties and crossbenchers to block the gold royalty increase in the Upper House. A disallowance motion was successfully passed following a vote of the Upper House on 12 October 2017. The gold sector employs more than 25,000 men and women. A gold royalty increase would have had a devastating impact on Western Australian families leading to the loss of up to 3,000 jobs. Gold workers are the people who make a difference for Western Australia – they pull their weight, they support their families, they pay their taxes and they deserve a fair go. The thousands of men and women who work in the gold sector are grateful to members of the Opposition and crossbench for putting WA jobs first. The WA gold industry makes a very significant contribution to the WA economy – through direct employment, purchasing of goods and services, community contributions and payments to government. A$44.9 million of revenue for the state government was at risk if the royalty had gone ahead. Budget repair is important but it shouldn’t cost gold workers their jobs. The decision to block the royalty protects the jobs of thousands of Western Australian workers. Business will now have more confidence to invest in the future without fear it will be hit with an opportunistic royalty increase. For more than 100 years, the gold industry has played an important role in keeping Western Australia’s economy strong. This industry has underpinned our state for more than a century, since Paddy Hannan first discovered gold in Kalgoorlie in 1893. Our gold miners employ thousands of Western Australians, pay millions in royalties and taxes and billions in wages. They have also invested billions in the local economy. Gold mining helps keep WA strong. Industry leaders, workers and small businesses which depend on the gold sector applauded today’s announcement by the WA Liberals they would join the cross-bench and Nationals members to oppose the legislation. Coolgardie gold miner Shane Munro has a clear and very simple message for the Western Australian Labor Government. Join us to rally at Parliament House and help us send a clear message to our local politicians that they should be putting WA jobs first. Western Australian gold workers face the prospect of losing their jobs because Western Australian Treasurer Ben Wyatt doesn’t understand the basics of the gold industry.